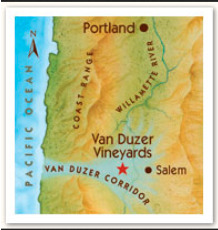 Van Duzer Vineyards is named after the Van Duzer Corridor, the only break in the north-south Oregon Coast Mountain Range that allows gentle west winds to enter the Willamette Valley. The official name is “Henry B. Van Duzer Forest State Scenic Corridor.” This geographic feature is responsible for the summer cooling that makes the Willamette Valley a perfect haven for Pinot Noir. Cool Pacific Ocean air follows this route late each day and temperatures dependably drop late each afternoon. This air exchange brings a significant decrease in temperature as it moves over the Van Duzer Vineyards and then splits north towards Portland and south towards Eugene, cooling off the 60-mile wide and 100-mile long Willamette Valley for the night. 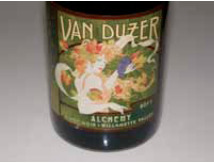 The influence of the Van Duzer Corridor is most felt in the McMinnville and Eola- Amity Hills appellations as well as the vineyards in the Dallas area of the Willamette Valley where Van Duzer is located. 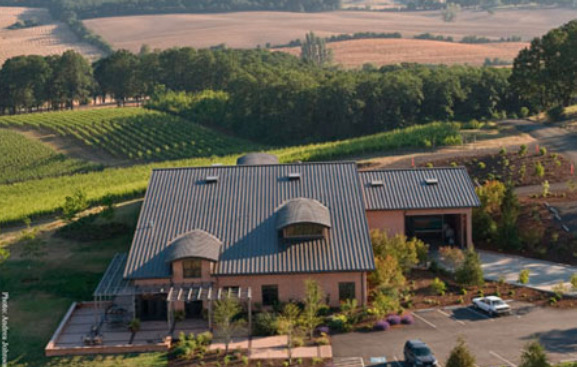 Van Duzer Vineyards is 60 miles south of Portland and west of the Eola Hills and Salem in the eastern mouth of the Van Duzer Corridor three miles off Highway 99W. Because of this location, summer temperatures in the vineyard drop sooner in the afternoon than in the vineyards to the north or south by 13 degrees, resulting in extended hang time. The winery appropriately chose Zephyra, the gentle west wind goddess of Greek mythology, to grace its label. Carl Thoma and his wife Marilynn bought the run-down Van Duzer Vineyards property in 1998, and like so many Oregon wineries before, Van Duzer benefited from an enthusiastic outside investor. Vineyard plantings and management were upgraded and new plantings added. Today, the estate vineyards total 82 acres and include Pommard, Wädenswil, 113, 115, 667 and 777 Pinot Noir clones. Two clones of Pinot Gris are also planted. The estate vineyards are certified LIVE and Salmon Safe. Refer to the vineyard map below for a detailed layout. 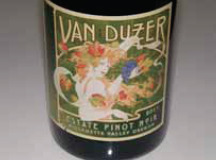 Van Duzer produces an estate Pinot Noir and a number of limited production Clone and Block Designates as well as an outstanding Rosé of Pinot Noir and a Pinot Gris. 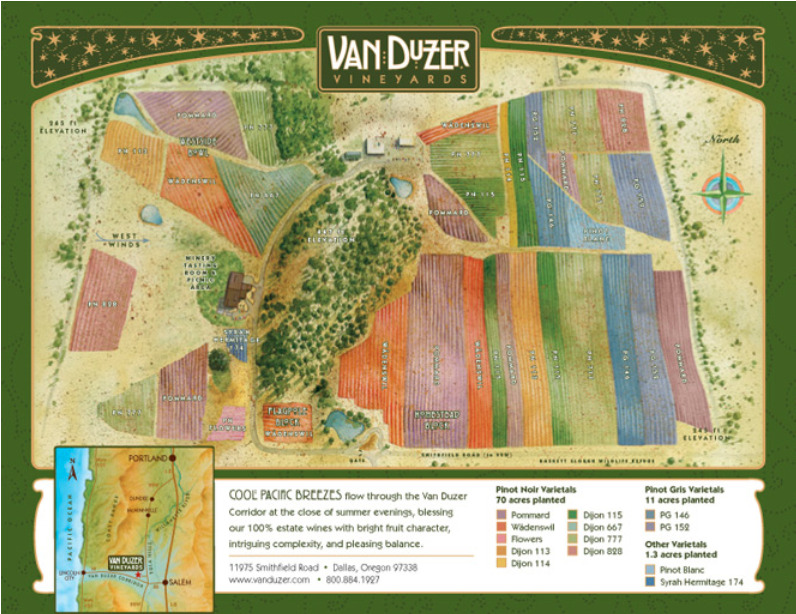 For years all Van Duzer wines were estate grown but recently grapes have been sourced from other appellations for singular bottlings. The winemaker is Florent-Pierre “Flo” Merlier a native of Burgundy who obtained a degree in physics and chemistry, but was captivated by winemaking while assisting a good friend run a 40-acre family domaine in Burgundy. He decided to pursue winemaking and met his wife, Krista, an Oregonian, while interning at the same winery in Burgundy. Florent then obtained his Diploma of Viticulture from the University of Dijon before relocating to Oregon in 2009. Winemaking can be complicated at Van Duzer because the fruit from each vineyard is handled separately and even grapes harvested within the same block are processed individually if picked on different days. Florent may have to deal with upwards of 50 lots of wine. Various yeast cultures are used to enhance aroma, flavor, texture, acid and tannin levels. A mix of barrels is used, typically tight-grained French oak barrels from the Allier and Vosges forests. Aging of Pinot Noir is carried out typically for 10 months in about 35% new barrels. The 2012 Pinot Noirs have not been released because Florent prefers to age them for a year in bottle before release. A unique, insulated concrete tilt-up structured 20,000-case winery and hospitality center was completed in time for the 2006 harvest. The Van Duzer Hospitality Center at 11975 Smithfield Rd in Dallas is open for wine tasting daily from 11:00 to 5:00. Visit the website at www.vanduzer.com for the 20 mile drive south of McMinnville. 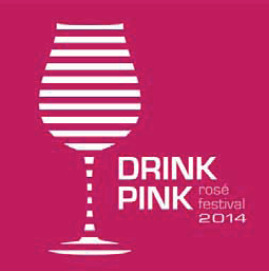 The 2013 Van Duzer Pinot Noir Rosé was one of the best Rosés I have tasted recently. Join Van Duzer Vineyards and 25 other Willamette Valley wineries for a festival in honor of Rosé at Patton Valley Vineyard in Gaston, Oregon. Food prepared by Portland’s Crown Paella and Scoop, music of two live bands, and a sampling of the finest pinks the Willamette Valley has to offer. Saturday, July 12, 12:00-4:00. For tickets, visit www.pattonvalley.com.